If you don’t already know the name Daniel Wu, you soon will. After enjoying an illustrious 18-year career in Hong Kong, the seasoned actor is now bringing his talents stateside. He’s currently starring in and producing Into the Badlands, a new Western-inspired martial arts show that premiered on AMC last month. Badlands is set years into the future, where the only known civilization is controlled by all-powerful barons. Wu plays main character Sunny, a Clipper—a lethal warrior branded with 400 tattoos, which signifies the number of people he’s killed. And, unsurprisingly, playing the lead and producing the show is no easy job. Working on a major network show demands 12- to 16-hour days, not to mention a lot of running around. Wu’s involvement with the show began with an executive producer role; he wasn’t originally slated to play Sunny. While he certainly fits the profile of an Asian thespian with exceptional acting ability and experience, the initial casting strategy was to find a much younger actor who could take on the physical demands of the role. Wu was skeptical about whether the hours of grueling martial arts training, plus the several elaborate fight scenes per episode, would be sustainable for a 40-year-old—particularly if the show stuck around for a while. Moreover, he adds, the show doesn’t suggest that he’s only in this role because he’s an Asian who’s mastered the martial arts. Most members of the cast all have martial arts scenes, Asian or not. 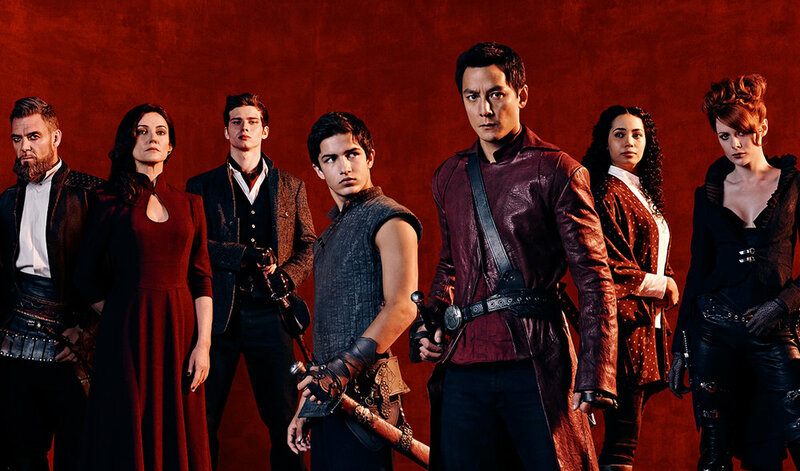 And the fact that AMC was “adamant” in adding Badlands to its current lineup—also casting German, East Indian, and Pakistani actor Aramis Knight as Wu’s co-star—is a remarkable milestone for Asian representation in the mainstream media. Despite a slew of dystopian narratives on the silver screen, this show’s lack of chaos distinguishes it from the rest. No guns exist in this world—a powerful choice on the part of the show’s creators given the growing debate surrounding gun violence in the United States.